Our graduates work as English teachers; as writers publishing works of prose and poetry; as lawyers in various sectors of law; as librarians organizing literature and reference material; as content contributors and specialists for websites, and many other sectors of work. 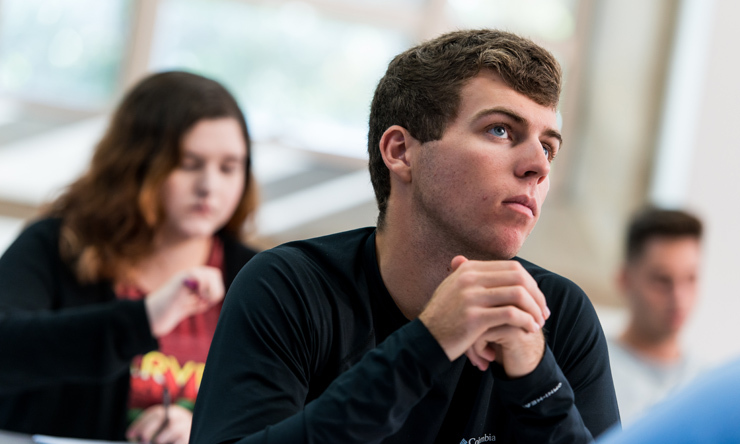 As an SAU English major, you will explore a wide variety of genres, be guided and challenged by professors and peers, and gain critical thinking, reading, and writing skills that employers covet. English majors develop reading, writing, and critical thinking skills by studying authors, genres, and periods. 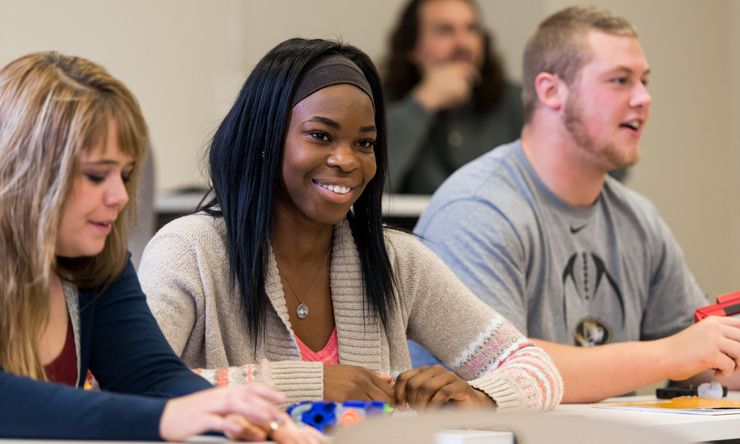 Core courses include British literature, American Literature, and literary studies. We offer traditional and unique electives which allow you to shape your degree to your interests. Electives include linguistics, African American literature, fiction into film, Shakespeare, poetry, and many others. Most of our students complement their English degree with a second major or minor. Common combinations include English and History; English and Political Science; and English and Philosophy. We are happy to help you match your interests to a degree and career path. 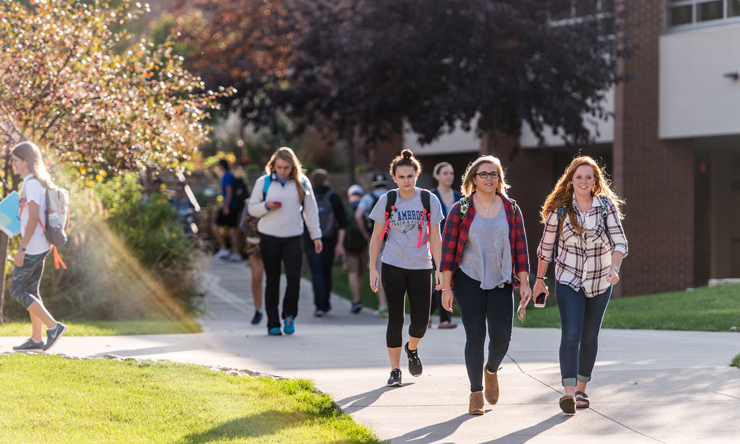 Contact us today to arrange a campus visit or chat with an English professor! Serve on the student advisory board for Quercus, SAU's literary journal for fiction, poetry, and visual art. You can explore careers and get real-world experience before graduating with our internship program that's coordinated by the SAU Career Center. Students have landed internships at area print and media outlets; communications and PR firms; nonprofit organizations, and others. English Department faculty provide opportunities throughout the year to engage with visiting authors as well as the world around you through Study Abroad. And if service is part of your plan, we are one of few universities in Iowa offering Peace Corps Prep, a program that makes you a stronger candidate for volunteer positions within the Peace Corps or other service programs. Employers value the skills and cultural worldview you gain in Peace Corps, and best of all, most students can earn the Peace Corps certificate without taking extra courses. What are alums doing now? Emily Bailey Keimig '16 coordinates Youth Services at LeClaire (Iowa) Community Library. Eric Herbst '16 works in marketing for Mississippi Valley Credit Union. Livv McDonald '16 is a technical writer at Twin State Technical Services. Mary Madormo '13, a double major in English and public relations, is a marketing coordinator for Nickelodeon. What are some careers I could pursue? A liberal arts education – along with strong critical thinking, reading, writing, and speaking skills – can lead you into a variety of career fields including English education; practicing law; advertising, marketing, public relations, and communications; print, television or radio journalism; and technical writing. You will also be a strong candidate for graduate studies in education, law, library science, medicine, journalism, and creative writing. Wait – med school? Absolutely. Majors from the humanities – English is one of them – have a higher acceptance rate (and higher MCAT scores) into medical school than science majors. And the Icahn School of Medicine at Mount Sinai is purposely recruiting students from outside the sciences. English majors choose a concentration in either Literature or Creative Writing. Both are 36 credits. This is a sample plan of English courses to graduate in four years with a degree in English. 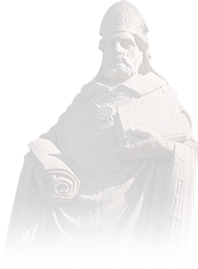 Students seeking licensure in 5-12 (Secondary) English shall fulfill all the requirements for a major in English as well as the licensing requirements in secondary English prescribed by the State of Iowa and implemented by the Teacher Education Program at St. Ambrose. 140 hours of pre-student teaching field experiences at two different school sites plus EDUC 309, 336, 419 (see above GPA requirements).